Once again, we're traveling the net to bring you a few interesting car websites to check out on a lazy Thursday afternoon. Do you like celebrity cars? Old advertising slogans? Vintage pictures? We'll cover them all in this week's collection of links. Normally I don't want to send people away from here, but I guess we'll make an exception this time. See this week's top five below. Collector Car Ads has a great blog with tons of articles and stories about yesterday’s cars. 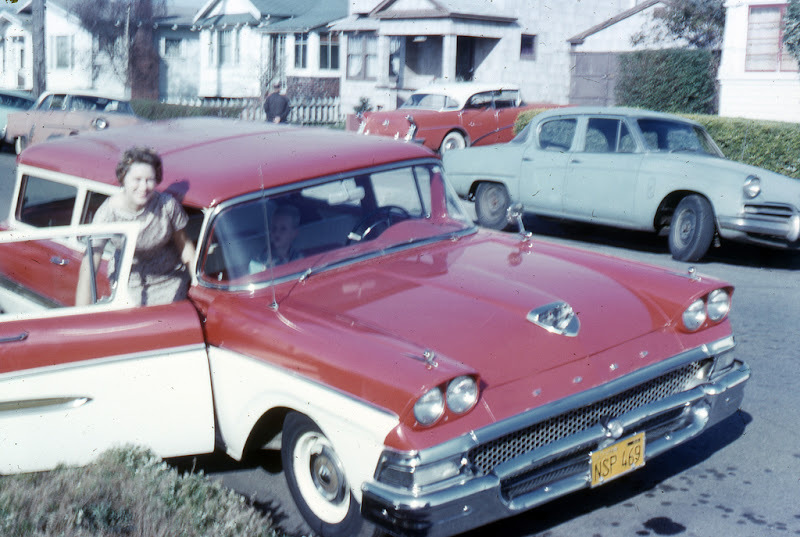 This post, titled “Posing with the new car,” features people standing with old cars back when they were new cars. There’s a lot of good stuff here—a ’61 Impala coupe, a ’58 Ford station wagon, and a ’62 Corvair, just to name a few. Sometimes when I look at a car that has seen better days, I think about what it must have been like when it was new. Even the most clapped out heap was probably someone’s brand new baby at some point. This post captures that point in time. Enjoy this blast from the past by clicking this link. The Hagley Museum produces a blog where they work to solve automotive mysteries and confirm or deny stories that have been passed down through the ages. 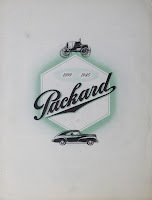 In this story, they look at the history of Packard Motor Car Company, and in particular, they delve into the famous slogan “Ask the Man Who Owns One.” And I mean, they look at that slogan in-depth. Sure, it was one of the greatest tag lines in automotive advertising history, but where did it come from? Who first said it? Where did it first appear? If you like the minutia of automotive history, you’ll enjoy looking at this website. 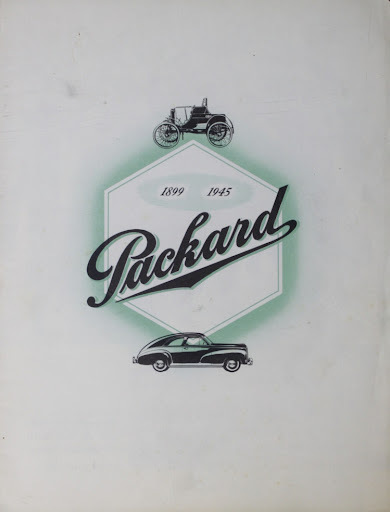 Learn everything you always wanted to know about the Packard slogan here. Earlier this year, I had the privilege of checking out Edsel Ford’s 1934 Model 40 Special Speedster in the Lincoln display at the North American International Auto Show in Detroit. This article from the Car and Driver Blog talks about the history of this great machine. 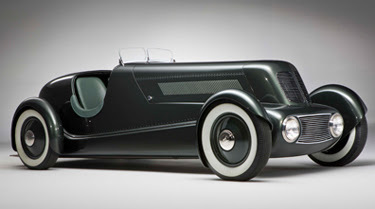 Did you know that many consider this to be the first hot rod? Me neither—until I read this article. The story talks about the birth of the car, various restorations and updates along the way, where it lived, and who owned it. It’s a very interesting history about a very significant vehicle. Read all about it by clicking on this link. You ever wonder what celebrities drive? I think it’s kind of fun to see how the other half lives. I’m probably never going to become rich and famous and be able to buy whatever I want, but it’s still fun to dream about it. The Celebrity Cars Blog has all kinds of pictures of famous people climbing in and out of their rides. There are lots of Range Rovers. Lots and lots of Range Rovers. But the lineup runs the gambit between Rolls Royce Phantoms and Toyota Priuses. About one in every 1,000 images features an American car. And I don’t even know who half of these celebrities are. I see Kim Kardashian in there a lot. I’m using her name in this story because I think it’ll bring in a lot of Google hits. 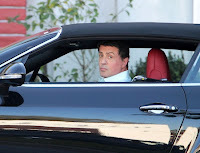 That’s Rocky Balboa driving a Bentley in the inset picture. See more at this link. The Old Motor is a pretty neat place to visit. They cover lots of Concours shows, and include several pictures of the exotic and expensive cars on display. They also post the occasional vintage photo, which usually prompts some great discussions from their readers. 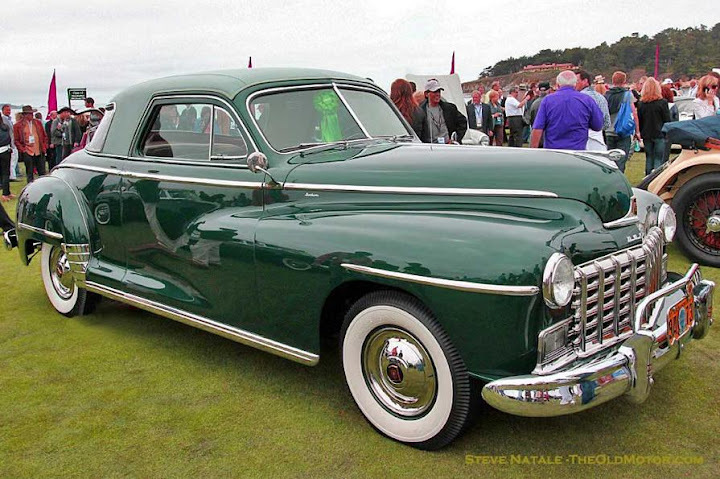 I was intrigued by this post about a 1948 Dodge that they spotted at the Pebble Beach Concours in 2011. This car has a Derham Body custom top, the likes of which I’ve certainly never seen before. The story says it was commissioned by a Manhattan Dodge dealer to draw in showroom traffic. Sure, the car is a little weird, but it’s the only one like it, and it’s that exclusivity that makes it fascinating. See more by visiting this link. lol--I appreciate you stopping by, john.